The University of Liverpool has been awarded £7.7 million to improve the health and wealth of people in the Horn of Africa by increasing local capacity to undertake ‘One Health’ research. The money have been awarded by the Research Councils UK (RCUK) from the Global Challenges Research Fund (GCRF) Growing Research Capability call, which supports projects in the range of £2-8 million over four years. Human health and wellbeing are intimately entwined with those of wild animals, pets and livestock. 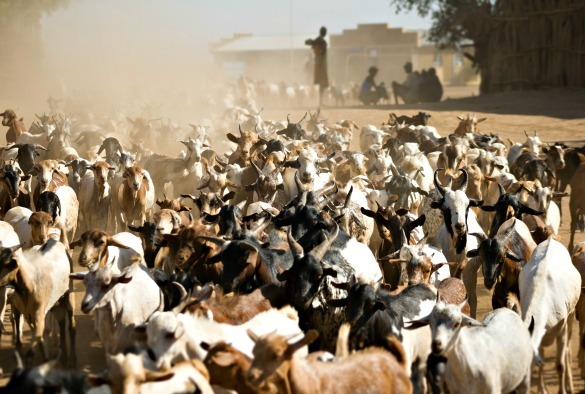 Livestock sustain people by providing them with food, draft power and income. But they also pose risks because they can transmit infectious diseases. Project lead Professor Matthew Baylis, from the University’s Institute of Infection and Global Health, said: “A ‘One Health’ research approach focuses on the interfaces between the environment, animals and humans, and in the part of the world that is the most heavily dependent on livestock – the Horn of Africa – it needs a boost. HORN is a partnership primarily between the University of Liverpool with Liverpool School of Tropical Medicine; Addis Ababa University, Ethiopia; University of Nairobi, International Livestock Research Institute, Kenya; University of Asmara, Eritrea; and IGAD Sheikh Technical Veterinary School and Reference Centre, Somalia.